The May 2015 Virgo Horoscope forecasts that, this month your focus will be on your career and profession. There will be radical changes on your work front and you will be engrossed in these changes. The planetary positions will make you more thoughtful which goes against the Virgo’s basic trait of practicality. You will tend to be extravagant in your spending which is in conflict with your frugal nature. You have to strike equilibrium between idealism and common sense during the month. The Virgo monthly predictions for May 2015 foretell that you will make good progress in your career during the month and it will reach its peak after the 20th. Recognition and rewards and profits will come your way. All this comes with being diligent and having a good business acumen. 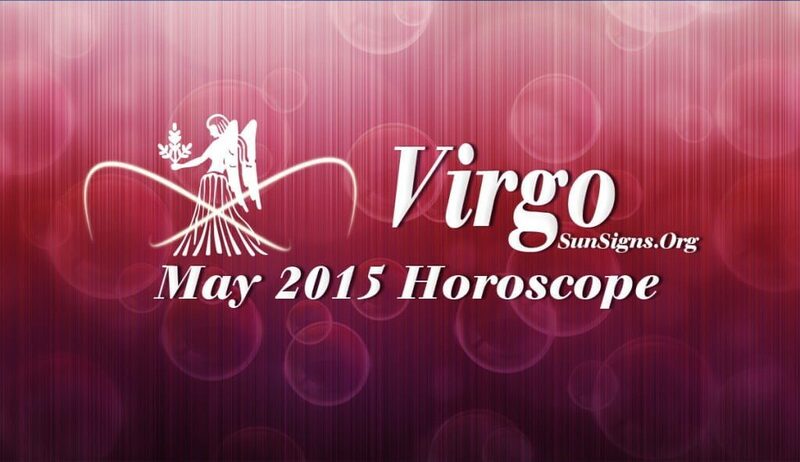 The monetary situation is bright in May 2015 for the Virgo zodiac sign. You will make more money by helping others. Your spouse will be helpful in your financial planning. It is time to reduce your liabilities by paying off old loans. Get June 2015 monthly horoscopes. The May 2015 Virgo horoscope for love shows that singles will have plenty of opportunities to get into relationships during the month. You will find love at work. You could even start dating a single mom or single dad. Marriage compatibility between couples will be excellent. This is an ideal time to plan to for a child. The Virgo zodiac forecasts for May 2015 show that your health requires a lot of care. You will need to take care of stressful situations in the family and in your profession. Meditating everyday will help you relax your mind.